The 2017 concert series kicks off on July 5 with Herman’s Hermits featuring Peter Noone. This year will be the 3rd time Herman’s Hermits have played here. 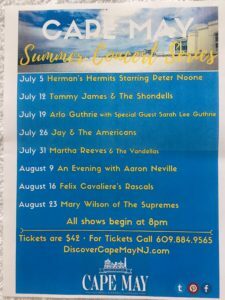 They love Cape May and Cape May loves them! Appearing here for the second time is Jay & The Americans. We saw them when they were here before and enjoyed the group. Knowing every word to every song makes for a fun evening. 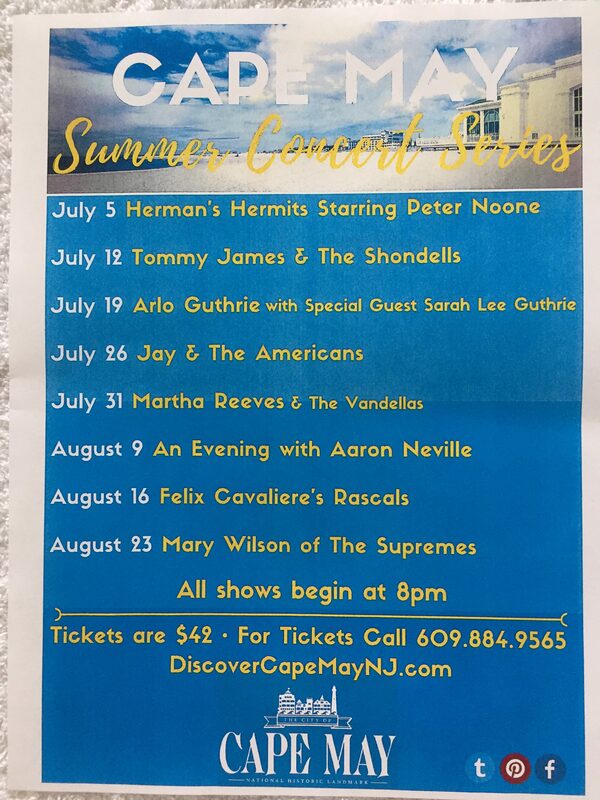 Please check out the concert schedule if you will be in Cape May on a Wednesday. Our new Convention Hall is a great venue with a great sound system. Hope to see you there! You can find us in Section 5, Row EE.